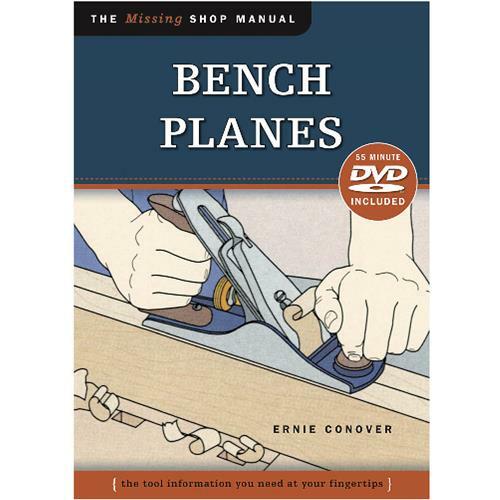 The Missing Shop Manual: Bench Planes delivers all the information you need—and brings Ernie Conover right into your shop to explain it. In addition to detailing the basics of safety and setup, this handy reference and 55-minute DVD will guide you through all the tips and techniques you'll need to get the most out of your bench plane. You'll learn everything from working up rough-sawn boards to making shooting boxes—and everything else you need to maximize your plane's performance. Even if you've been woodworking for years, you'll wish you had this manual and DVD when you first started out. GOOD MANUAL - THOROUGH, CLEAR, PRESENTED WELL; WORTH HAVING FOR REFERENCE.